It has been beautiful fall weather here in Florida and I love being outside! But I also like stamping and that is inside...today I'm sharing a couple cards I made using Sparkle N Sprinkle's Tear-ific Tapes and Glitter. I did a class on these cards and everyone loved how they turned out. I started with a 5 x 5 square card stock and laid a piece of tape diagonally from corner to corner to make sure you get the angle right. Then using all the sizes of tapes 1/8, 1/4, 1/2 & 3/4 just randomly layed down the tape. The pull off the release paper from about 3-4 stripes and put a glitter down. 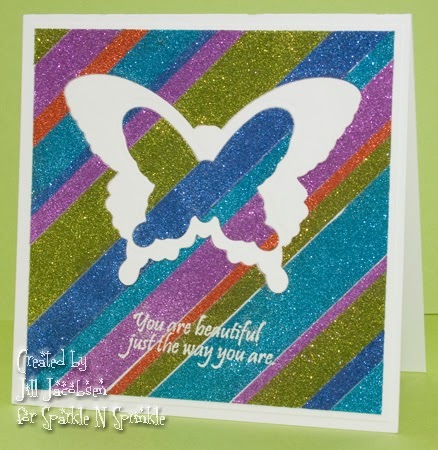 I used the Velvet Glitters for these, but you could use any of the glitters or flockings. 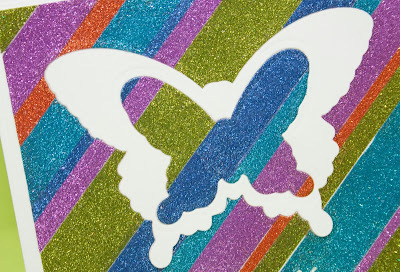 When you are done with the glitter pick a die that nests ( I used Spellbinders Wonderful Wings and Nested Pumpkins) and cut out 2 sizes as shown, then cut out the same thing on a white piece of cardstock and inlay the pieces in the card. Then you have the extra pieces left over and you can make your second card like I did below. 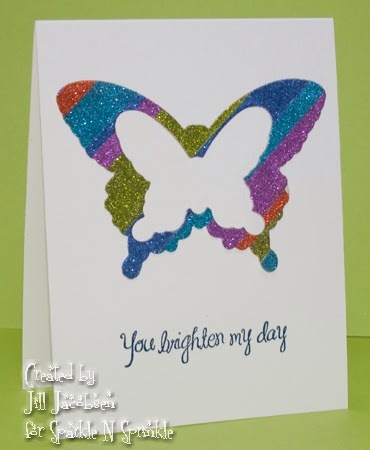 Since I used the Velvet Glitters I can emboss on them and did that with the sentiment and White Detail EP. 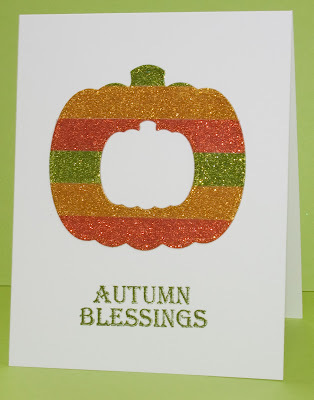 On the pumpkin cards I decided to use all 1/2" Tear-ific Tape and lay it down horizontally. I like both effects and love all the sparkle!! Hope you enjoy some sparkly fun today!